A few years ago, the Center for Disease Control gained a considerable amount of attention when it launched a zombie preparedness initiative. It was followed by the Department of Defense developing an entire training course aimed for the Joint Operational Planning and Execution System (JOPES). 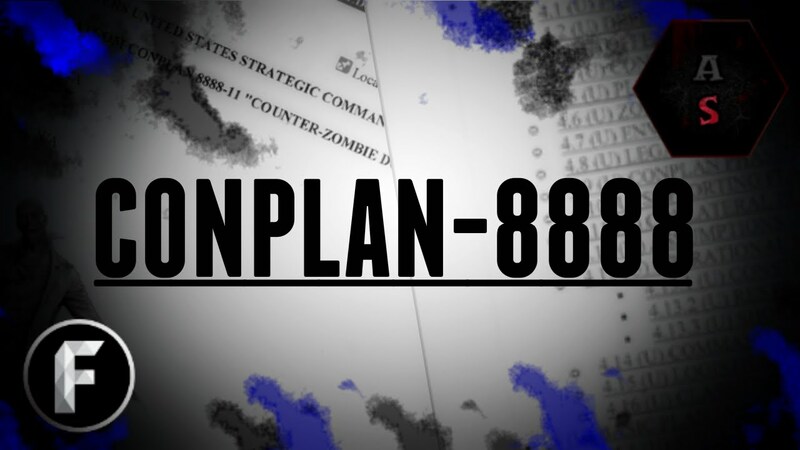 The complete response plan was then declassified, and it's called CONPLAN888 — something you wish would only exist in horror movies. Using the Freedom of Information Act, two documents which were retrieved from the NSA were posted by the Black Vault. According to the United States Strategic Command (USSTRATCOM), the objective of the plan was to use a fabricated scenario in order to prepare for real-world emergencies. 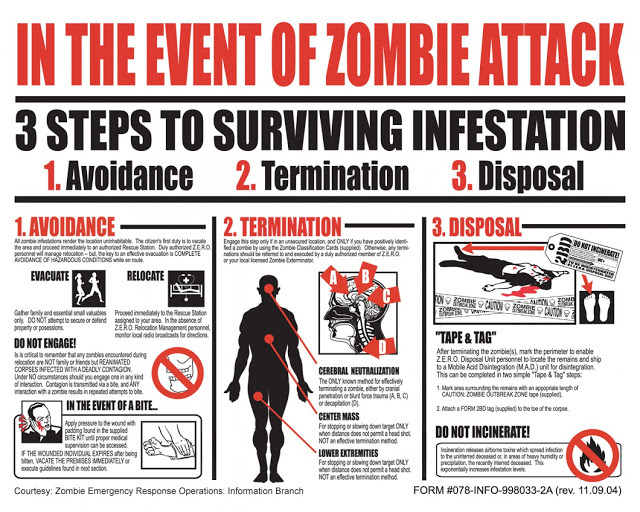 The three-fold plan includes the neutralization of zombies through “denial, deception, disruption, degradation or destruction,” although the exact meaning or extent of the term ‘destruction’ is still unclear when it comes to fighting zombies. Zombie life forms created through viral or bacterial infection. Zombie life forms created through electromagnetic or particle radiation. Zombie life forms created through occult experimentation, or “evil magic. Zombie life forms engineered through bio-mechanical technology for the purpose of attacking other nations. (yes, they are real) Zombies that are practically old hens which can no longer lay eggs. They are euthanized by farmers using carbon monoxide, and stacked in piles. Unfortunately, some of the hens are still alive and crawl out. Although they eventually die of organ failure, chicken zombies are “simply terrifying to behold” and are likely to turn people into vegetarians to protest animal cruelty. CONPLAN888 consists of multiple striking passages. Other notable factors include concern for environmental issues such as the groundwater being contaminated with zombie pathogens; references to the government declaring martial law; and epidemiologic surveillance for the purposes of watching changes in disease vectors. The government response to the zombie uprising includes the following additional measures: HAND SANITIZER, which, marketers claim, kills 99% of germs (albeit noted that hand sanitizer has never been tested on biohazard level 4 pathogens like ebola); and FIREPOWER TO THE HEAD (“the human brain will still be functioning in the zombie state, but it is universally agreed that the only part actually active will be the brain stem”). CONPLAN888 references the books and articles The Zombie Survival Guide, World War Z; An Oral History of the Zombie War, and “Zombie Chickens Taking Over California,” among others.